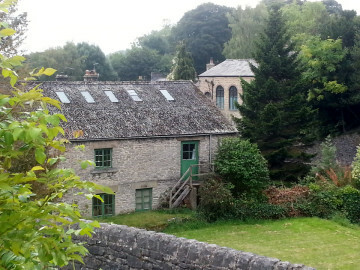 BBC’s Escape to the Country features William Lennon’s boot factory in Stoney Middleton. A recent episode of Escape to the Country featured a couple wishing to move to Derbyshire. The program chose to include aspects of the Peak District and to our pride chose Stoney Middleton. They visited the amazing boot factory in the village which still makes safety boots as they have for generations. Stoney Middleton was a very important centre for boot making and especially the factory founded by William Lennon. Their boots are available online and offer an opportunity to own a piece of classic heritage. Middleton Stoney is in Oxfordshire! Yes, I thought they had upped and moved overnight! Thought Libs came over really well. Colin: I notice your name is mentioned a great deal on this site. Do you know Doug or Tony Mason? They are my mother’s relatives. My mother was Joyce Metcalf (nee Buckley) and her mother was Millicent Mason before she married John Jeremiah Buckley who is pictured in quarry photographs. My mother is pictured coming over to Canada. Millicent and John Jeremiah are buried at St. Mary’s. I would like to talk to Tony more about our family history. Lovely comments, thank you! Agreed it was a shame about the mix up of the village name, and the fact they couldn’t spell ‘District’ either. I have tried to reply directly to your comment as they divert from the website to my personal email but it has been returned. Think there might be a typo in the automated email address. Please could you confirm.